The Kuwait Flag consists of three horizontal blocks in the Pan-Arab colors of green, white, and red. 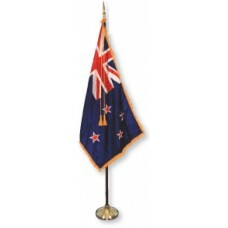 On the left-hand side of the flag, is a black block. The green color represents "Our Lands" which refers to the fertile land as well as representing hope and prosperity. The white color of the flag represents "Our deeds" which represents Kuwait's purity of deeds. The red color represents "Our Swords" and refers to their enemies' blood and Kuwait's strength and bravery. The black color represents "Our Battles" and represents the defeat of their enemies. 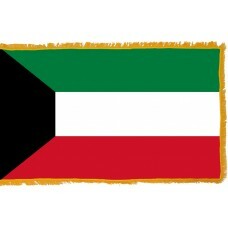 The Kuwait flag was first adopted on September 7th, 1961 and was first raised on November 24th, 1961. Prior to this flag, the Kuwait Flag just featured the colors red and white and between 1759-1899, the national flag was completely red. In 1899, Kuwait became a British Protectorate as the country's independence was being threatened by the Ottoman Empire. 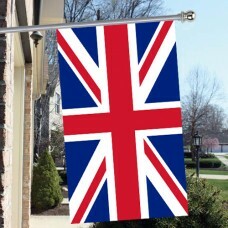 In 1941, at the start of WW II, Britain took complete control of Kuwait (and Iraq) and it remained this way until Kuwait gained independence from Britain on June 19th, 1961 when it became the first Arab State to have a Parliament. Since its independence, in 1990, Kuwait was once again invaded by Iraq, which resulted in the "Gulf War." Kuwait holds a month-long celebration beginning from February 1st – February 28th each year to celebrate their liberation and independence from Britain. This festival is called "Hala Febrayer" and consists of concerts, carnivals, and parades. The festival is a popular tourist attraction. The official national day is on February 24th even though Independence Day is in June. It was celebrated in June until 1962 when it was moved to February due to the weather being too hot during that month to be able to celebrate. Kuwait is considered to be one of the hottest countries in the world between June and August. Kuwait is an Arab country that is located in the Middle East and shares borders with Saudia Arabia and Iraq and it is the only country in the world that does not have a natural water supply. The capital of Kuwait is Kuwait City. Kuwait is home to nine islands, with only one of those islands (Failaka) being inhabited. The economy in Kuwait is mainly reliant on the oil industry as Kuwait has the 5th largest oil industry in the world. It was discovered in 1938. The currency (Kuwaiti Dinar) is the highest valued currency in the world. Kuwait is home to some of the tallest buildings, which include the "Liberation Tower," which is the largest tower in Kuwait and also one of the tallest towers in the world. It was built in 1996 and is very symbolic as it represents Kuwait's independence and their triumph. The tower also features a revolving restaurant. The "Al Hamra Tower" in Kuwait, is the world's 23rd tallest skyscraper.